Touriga Nacional is a red-wine grape originating in Portugal, probably in the Dão region. It is generally considered one of the dozen and a half or so of world-class red-wine grapes (those in boldface in the varietals list to the left of the page); in part, that derives from its use as a major grape in the making of Port, but it is also a world-class table-wine grape. As is usually the case with Old World wines, table wines based on Touriga Nacional were rarely if ever labelled by the grape, being given regional appellation names (notably Douro and Dão); in the modern, internationalized wine world, varietal bottlings, often monovarietal, are now fairly common. 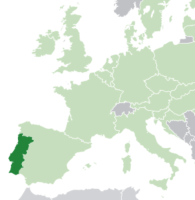 Touriga Nacional has been promoted as the "national grape of Portugal", a policy some strongly favor and others think misguided. That second view arises because, one, it draws attention away from some other fine Portugese grape types; and two, it is not clear whether Touriga Nacional works as well as a monovarietal as it does blended. The grape has been analogized to Bordeaux's Cabernet Sauvignon, with (per Jancis Robinson) the Touriga Francesca grape playing the role of Bordeaux's Cabernet Franc. The Touriga Nacional grape is small, and so has a high ratio of surface to volume. Since skin contributes much to the resultant wines, Touriga Nacional tends to be dark, strong-bodied, and intense in both aroma and flavors, with high tannin levels. A quality often associated with the wines is that of flowers, most notably violets; anyone who has had a good port has experienced many of the qualities of Touriga Nacional. Touriga Nacional wines typically age very well in bottle. 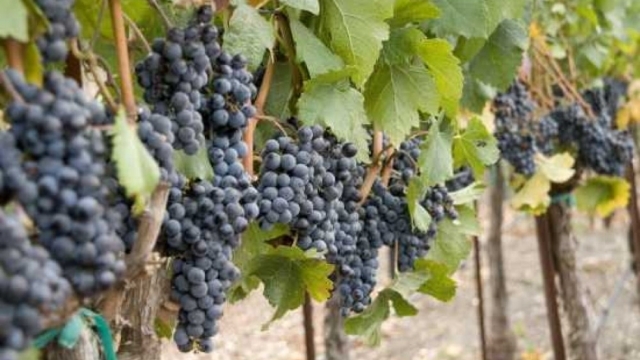 Factoid: Touriga Nacional is rarely grown outside Portugal, but small plantings are appearing in some of the emerging wine regions of the U.S. such as Texas and Virginia. "Touriga Nacional provides structure and body to wine, with high tannins and concentrated flavors of black fruit. . . The grapes can produce intense, very aromatic wines with high tannin content." "Flavor (Nose) Profile: Violets and floral notes – The aroma is so powerful that many winemakers use it very sparingly as the floral qualities can make grandma’s perfume cabinet seem restrained . . Blue and Black fruits – Black berries, blueberries, dark and staining overly ripe berries! You know the smell, where the berry begins to border on liquor notes. Think fresh backyard fruit, not store bought sterile under ripe stuff! Spice – Yeah I get spices, but usually as a backdrop to the fruit and flowers. I would elude cocoa as a spice and at times the sweet flavor of allspice that seems to fade in and out as the wine develops. Flavor (palate) Profile: Fruit - Same as above but think blackberry liquor, not the sweet part, but the intense fruit quality. Actually, why don’t you throw in the seeds too, while you’re at it. Think of when you bite down on a seed and you get that wood/vegetal note. That’s the one I’m referring too! Spice – (Gabriella) From my experience with the grape, I consistently get a black pepper quality that offers that perfect dark exotic flavor that pairs well with most rich foods. It’s never overwhelming to me, nor does it take precedent over the floral notes, but it always seems to creep up, especially on the nose! Flowers – I don’t make it a practice to munch on flowers, but I will say that the way in which new flowers smell sweet, almost fruit like, is the exact floral note I get. I remember as a child there was a flower that grew in the fields of the park by our house. I forget the name, but if you snapped off a flower and bit into it, a small but intense sweetness filled your mouth. 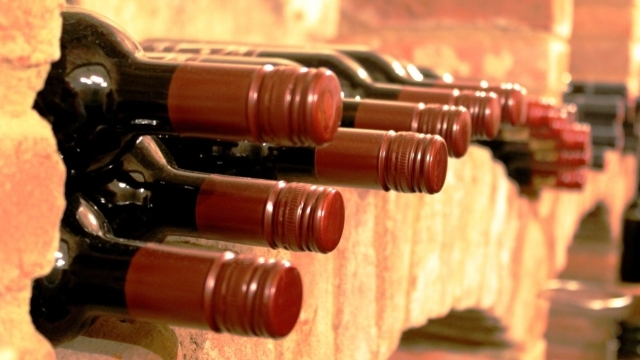 . . Texture – This wine can be quite large with an overwhelming body. The positive side is that the tannins tend to be very fine. Almost chalky but with a nice acidity to freshen the mouth." "Characteristics of the grape: medium to full-bodied, bright ruby to dark purple, strong tannins, bright acidity. Still wines: dark cherry, blackberry, red plum, earth, espresso, tobacco, dark chocolate, black pepper, black tea, violets. Port wines: blueberries, blackberries, figs, dates, toffee, almonds, cashews, cocoa, milk chocolate, burnt sugar, violets." "Touriga Nacional yields inky, full-bodied, powerful wines with exceptionally complex aromas. It frequently shows blackberry, blueberry, rock rose and rosemary notes." "In many ways, Touriga Nacional is Portugal’s answer to France’s Cabernet Sauvignon. Both varieties display bold dark-fruit flavors, often with hints of spice, leather and violet. Like Cabernet Sauvignon, Touriga Nacional has firm tannins, is expressive as a varietal wine and shows great aging potential. As a blend though, it really comes into its own." "Touriga Nacional has a thick skin and small clusters of berries which help to contribute to the colorful and tannic wine it creates. In addition to the flowers, tannins and extract the Touriga Nacional brings to the Port table, the grape is an integral part of the blends of still red wine found in both the Duoro and Dão valleys, producing wines that are heavy in both red fruits and structure." "As well as making port, touriga nacional is now also grown to produce extremely concentrated, dark, tannic table wines both in the Douro Valley and elsewhere in Portugal, notably Dão. In the same way that cabernet sauvignon is softened by blending with another grape, touriga can be partnered with local versions of tempranillo." "Small: Violet, Very floral, Blackberry, Blueberry, Black pepper, Fresh earth, Mulberry, Plum, Dried fruits. Taste: Dry. Feel: Moderate to high acidity levels; Moderate to high alcohol levels (13% - 14.5%); Tannins abound. In the best Touriga Nacional wines, the high acidity offsets the tannins, resulting in a well-balanced wine." "Touriga Nacional tends to be a smaller berry with thicker skin, bringing dark fruit character, floral aromatics and contributing plenty of sturdy structure via a heavy dose of tannin, acidity and phenomenal extract while also adding complexity, intensity and longevity to a finished wine. " The problem with recommendations is that a great fraction of the wines casually described by retailers as "Touriga Nacional" are blends, sometimes not even predominantly TN. Worse (from the classification point of view), some bottlings are a blend in one vintage and a monovarietal in others. Now many people think that TN works best in blends, and we have no quarrel with that view, but the idea of these little lists is to give you a chance to sample the pure quill, so that you can decide what you think of the varietal in question. After that, you can, if you like, go on to sample blends as you encounter them, having some idea what the varietal—in this case, the Touriga Nacional—component is adding to the total. Moreover, while reasonably priced Touriga Nacional abounds, if we filter by available reviews, the field narrows considerably. Here is what we came up with. ♦ The combination of blackberry fruit and firm, dark tannins has created a complex, impressive wine. This has plenty of fruit, but the main components at this stage are its weight and structure. It has considerable aging potential; keep for 3–4 years. 92 points. ♦ [Google-translated from Portugese: [L]ush and fresh with attractive notes of berries and floral nose much perfume pleasant in the mouth shows some structure and a very interesting smoothness throughout the race, reveals a soft and round tannins and fruity shows up, the end is medium in length and persistence. ♦ [Google-translated from Portugese:] Concentrated while being elegant and restrained, with fruit of blackberries and plums very expressive, alongside the attractive Touriga notes of cocoa. Silky and fat, very fresh, juicy, delicious. ♦ Attractive nose. Cedar, violets and raisins, but not a baked/overripe flavour. Coming together nicely. ♦ Color. Very different, almost port-like, black center, ruby tinges on the rim. Unusual in my book. Nose. Lots going on here over 24 hrs. Initially thought quite funky, in fact wondered about TCA? The nose is not port-like, notes mention black cherry, raspberry, smokey, "menthol" from across the table. As it opens, meaty and violets but could not find any "dried rasins" one might associate with TN. Palate. Initial entry thoughts were dry, tannic, cherry, black fruits, tad vegetal on a short finish. Medium acidity and did not find a lot of finesse here at first but over the evening, some big changes. A much softer finish (especially on day two), wallops of cherry and blackberry coming through. It is still a tad short on the finish but a much more approachable wine 24 hrs later. 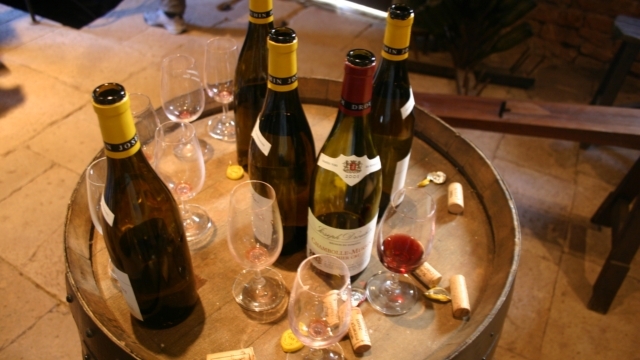 ♦ … ripe, vanilla, violet, pepper, low tannin, berry fruit, 4-6 months in oak. ♦ One of the finest Portuguese wines was featured last 16th February on The Irish Times Magazine as one of the four best wines of the week. John Wilson, well known Irish wine journalist, described the Grand'Arte Touriga Nacional as "a very drinkable example of Portugal's fines grape. Smooth, meaty, dark savoury fruits." 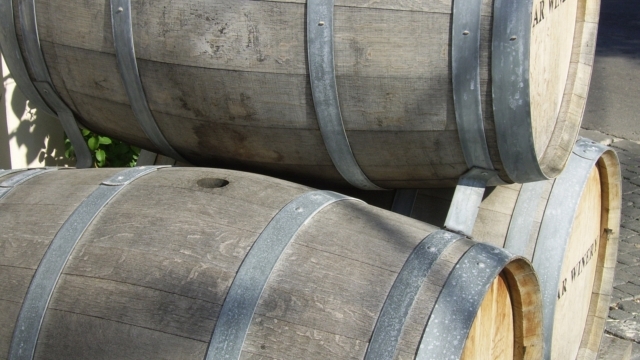 ♦ Wood laden, this is a spice- and fruit-flavored wine. It's complex, dense and packed with dusty tannins. Still young [2010 vintage in 2012], although already finely balanced, its structure is powerful and the wine is dark, full and rich. Age for 2-3 years. Score: 90. ♦ On the nose, the wine offers an inviting blend of dark fruit including black currant and blackberry mingled with chocolate, tobacco and oak. A full-bodied, yet surprisingly elegant wine for the price, its up-front berry flavors are balanced by earthy, spicy notes at the back of the palate. ♦ Deep purple in colour with fresh aromas of violets, blackcurrants and cherries, flavours of blackberries and hints of spice with a full mouthfeel, firm tannins and nice length. Good character and a fresh quality, but still quite young with good potential to develop further. A good wine with medium-strong cheeses. Editor Rating: 3½*, Very Good. ♦ This cherry red colored wine opens with a very pleasant cherry like bouquet with hints of plum. On the palate, this medium bodied wine is smooth, soft, and tasty with black raspberry like flavors. The finish is quite dry and its tannins linger for quite some time. ♦ inky black core, smoke, cream, liquorice and toast on the nose and palate with an intriguing beetroot, slightly earthy flavour. It was a very smooth, complex, richly textured wine with some exciting flavours beneath a suave texture. ♦ [Google-translated from Portugese:] Full bodied wine, but balanced and elegant. Excel notes of dried fruits, figs and spice, with firm, round tannins. End of long and creamy mouth. ♦ A bouquet of cocoa and spice gives way to fruit and fig flavors layered in firm tannins. Reviewer #1: "Dry with raspberry, mint and a bit of a floral finish. 3-1/2 stars." Reviewer #2: "Raisin, cherry, vanilla and plum with a dry, mint finish. 3-1/2 stars." ♦ Lush, jammy nose with black cherry, vanilla and eucalyptus hints. Full-bodied with moderate acidity and supple, yet firm tannin – well balanced. Port-like with a deep dark core of fruit – cacao and tobacco leaf notes. Long finish – seductive with cedar and cherry on the aftertaste. Delicious. Drinking well now and should improve with 5 to 7 years in bottle. Strong value. ♦ A dense, well-structured red, with powerful flavors of iron, dark plum and dried berry that feature plenty of smoke and spice, followed dark chocolate on the finish. ♦ This wine opened up with aromas of plum-blackberry fruit, black currants, spices, earthy and minerals notes. On the mouthfeel, medium-full bodied with a rich combination of fruit, spices and bitter chocolate, balanced acidity and firm, dusty tannins. Loads of energy, power and concentration on the finish with a nice tannic grip lingering. Very interesting to try Touriga Nacional on its own, it give you a better idea what it brings in a blend; a deeper color, Cabernet Sauvignon like power and concentration and plenty of tannins for long term ageing. Very enjoyable, score 89 points. ♦ When you sip Delaforce Touriga Nacional, Douro 2007, the palate is harmonious. ♦ Elegant full bodied style with chocolate, blackcurrant and spice, concentrated and smooth with complexity and length. ♦ Purity…. Here we have 100% Touriga Nacional from 25 year old vines aging in 100% American oak barrels. They stay in the American oak for 8 months but are held at the winey for 6 months for aging before its released to the export market. . . On the Nose – Warm, spiced red fruit, with just a touch of wet stone. On the Palate – dark strawberries and blackberries, baking spice, chalky tannins and a full mouth feel rounding out over a long finish. ♦ While this wine is certainly tannic, the structure is beautifully cushioned by velvety, ripe black fruit. This has produced a rich, soft, dense wine that can certainly age for 2–3 years, yet is also ready to drink now [2009 vintage in 2012]. 90 points. ♦ Very suave, with rich, concentrated flavors of dark currant, violet, kirsch and dark cherry that ooze with intense spicy notes. Black licorice and blackberry linger on the finish, which is filled with dark chocolate notes. ♦ If you’re looking to wow your guests but don’t want to spend a fortune, here’s the wine for you. Touriga Nacional produces high quality wines and blends in many regions throughout Portugal and is the heart and soul of Port wine. A few countries outside of Portugal, most notably in the new world, are beginning to try their hand with this varietal on small scales given its resulting high caliber wines. The Quinta De Ventozelo is consistently a terrific value with satisfying intensity and yet plenty of food pairing potential, especially in barbecue season. ♦ The combination of dried fruit and cedar-y oak feels a bit like eating a bowl of prunes in a sauna. Despite the wine’s concentration and heft, it’s still light on its feet with lively acidity. ♦ I doubt Joe Wine Buyer will ever recognize a Touriga Nacional before a Merlot, Cab Sauv or Shiraz, but I think we'll see a lot more attention given to wines like this in the years to come. It doesn't hurt that the wine hits the mark with nice body, fruit and structure. It only averages a point or two higher in reviewer scores, but maybe the splurge is worth it to you. Thed wine is the Quinta do Vale das Escadinhas "Quinta da Falorca" Touriga Nacional (Dão, Portugal).